'CAESAR'S BROTHER' One of the most popular if not thee most popular landscape Siberian Iris variety . The flowers are medium blue with erect standards, very vigorous and easy to grow. I remember a conversation with a commercial grower of Siberians in New Zealand some years ago who stated "Customers visit the gardens and get to see the latest varieties I have imported from America, yet when they return to the shop nine times out of ten its 'Caesars Brother' which wins as the variety they want to take home to grow"
I grow it at home as a hedge of approximately 300 plants down the drive way, and must admit at peak bloom it looks good, bloom height is 36" which gives the garden visitors a greater appreciation of the flowers form. 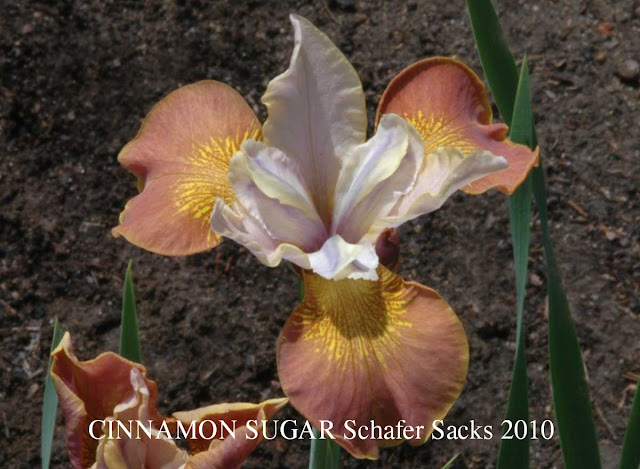 Bred by F. Cleveland Morgan, a pioneer Canadian breeder of Siberian irises. 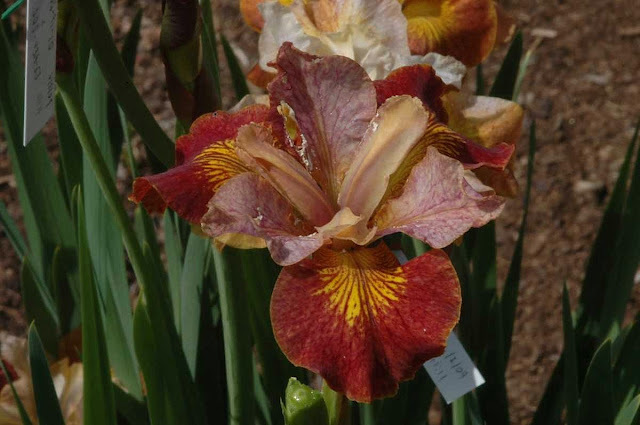 His best known irises are 'Caesar,' 'Caesar's Brother' and ‘Tropic Night', and all are still popular garden plants today. Photo taken in the morning light, and yes its Historic. To find out more information on Siberian Irises go to The Society for Siberian Irises at http://www.socsib.org/. Siberian Japanese Iris Cross "LEXICON"
I first came into contact with Christy some years ago and I have always admired her "thinking outside the square" when it comes to Japanese and Siberian interseries hybrid breeding, its a difficult thing to do. Here she relates her thoughts regarding this remarkable iris "LEXICON will make her début in 2012 at the Michigan Iris Convention. Her leaves don't look like any "Siberian" you have ever seen. She's an aggressive little doll who's never failed to bloom even after being moved in the spring. Barely fertile only with a sibling so far but I've started playing with Adrenaline Rush again, the F1 JI-SIB she came from hoping to pull a few more colors into the type." Despite inconclusive criticism of her work with Ensiberians Christy Hensler has persevered. Plant breeders with a sense of adventure are a valuable asset in the Iris world for making us think that the Impossible now seems probable, long may they live. Just arrived from Jan Sacks two photos of Jan and Marty's 2010 introductions. 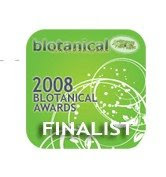 Joe Pye Weeds Garden web site is updated for 2010 , give it a visit and admire the genius of diploid hybridizing. Revisit this post and I will update it with more information when it comes to hand. Ten years ago who could imagine the kaleidescope of colour's, its just amazing. Of course a major hat tip to Jan and Marty for sharing the magic. Lilting Laura is one of the most popular Siberians in New Zealand .The flowers are lavender shaded darker in the centre, accented with white styles. It is very vigorous and easy to grow. 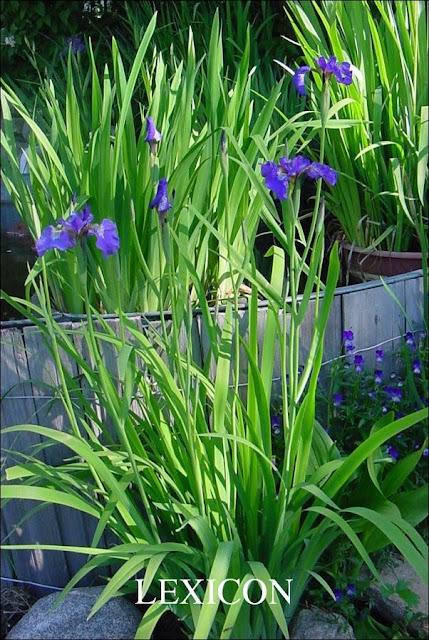 Good size plants can be purchased for a very reasonable price in America from Wildwood Gardens who have a very good selection of Siberian Irises. In New Zealand Siberian iris are wonderful landscape plants and do very well as cut flowers. The graceful flowers are carried above an elegant clump of grass-like, blue-green foliage which is attractive all season. Siberians bloom just after the bearded iris and just before the Japanese Iris, and can tolerate a wide range of soils, light exposures and moisture levels and are drought tolerant after they are established. They have almost no disease or pest problems. Ideal conditions are a sunny place with moist, rich, slightly acid soil. They can also grow well next to pools or marshes and after the first frost their foliage turns a rich reddish-brown. Siberians can remain in place for years without division. When necessary, they should be moved and divided in late summer, preferably March- April. To find out more information on Siberian Iris go to The Society for Siberian Irises at http://www.socsib.org/. 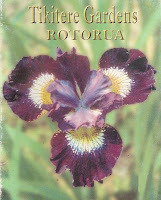 New Zealand Iris Grower "TIKITERE GARDENS"
Ann and Bill Robinson are the owners of 'Tikitere Gardens' which is located in the North Island's very scenic area of Rotorua. These extensive gardens, developed since 1987 incorporate a natural stream and established trees. Nursery sells trees, Acers, Rhododendrons, Hostas Daylilies. Great service and very good size Siberians.Recent Catalogue received lists over 40 modern varieties. Friendly to deal with and answer emails generally within 24 hours. When I asked if I could use this photo, Sergey's reply was certainly but he could not understand why as he did not like it much but qualified the statement by adding "but its all a matter of taste". I myself think it most certainly is a mighty good looking Siberian and the dark blue veining on the standards and the falls give the bloom another dimension in taste. The pod parent is "China Bitone" which has the species Iris I.typhifolia on both sides of it's parentage and is registered as a species X. The pollen parent is unknown. As always, clicking the image will take you to the larger, higher resolution version. Photo credit and copyright and a big hat tip to Sergey Loktev. 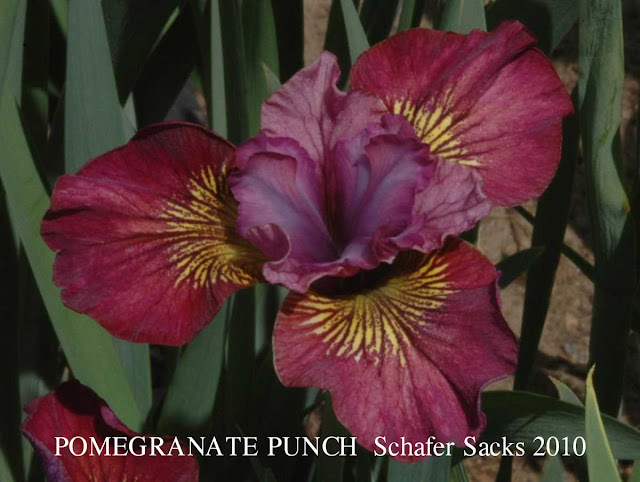 Siberian Irises with the so called modern flaring rounded form is so apparent in Wine Wings. A re-bloomer which clumps up well to make a colourful display. Whilst this iris is more than 30 years old and therefore is Historic, Siberian Iris just do not date like the Bearded Iris. Can be purchased in America from Tranquil Lake Nursery who have a very good eclectic catalogue of Siberians. In saying that, their Historic collection of Siberians make me wish they where just down the road from me.